Seven Ethiopian Christians have been arrested and detained in the north-western town of Chagni on suspicion of praying against the government. A local source told World Watch Monitor the seven men, members of the Meserete Kiristos church, were followed and overheard by a local militia group when they went up a mountain to pray. When the Christians prayed “against Satan’s power and kingdom” (a common choice of words in certain evangelical churches in Ethiopia), the group accused them of referring to the government. The Christians have not been formally charged yet but they were refused bail at a court hearing on 2 January and remain in custody. It is not clear when their next court appearance will be. Ethiopia is 29th on the newly released 2018 Open Doors World Watch List of the 50 countries where it is most difficult to live as a Christian. The pressure on Christians there is adjudged to be “very high” because of religious and ethnic tensions, combined with political and civil unrest. Also, the government is growing more authoritarian and has restricted religious institutions. Ethiopia’s northern Tigray State, for example, has been considering adopting a new law that would restrict Christian activities to within official church compounds, rendering illegal the activities of smaller churches that do not have official buildings and instead gather in private homes. 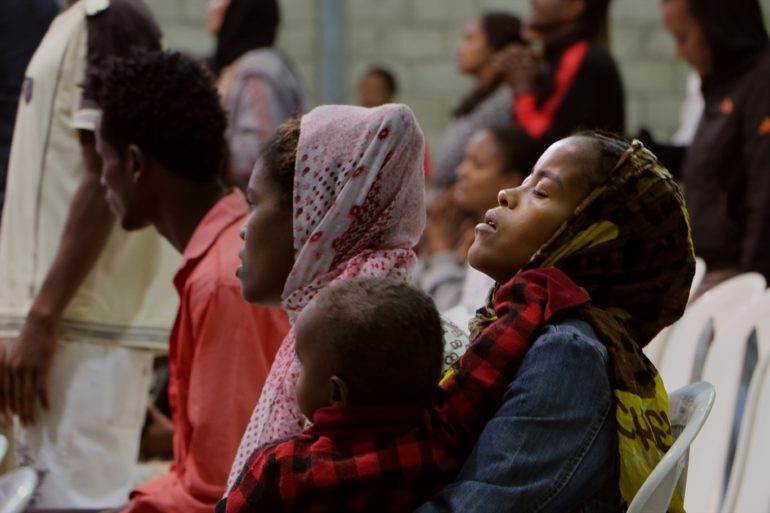 Although Ethiopia guarantees religious freedom on paper, Pentecostal churches in rural areas often face restrictions in a society dominated by the Ethiopian Orthodox Church (EOC). World Watch Monitor has reported regularly about attacks on Christians and closure of churches in the country. However, the latest (2007) census showed that Christianity is still Ethiopia’s main religion (63 per cent of the population), and it is expanding its influence. 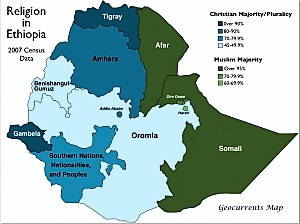 Over the past decade, Ethiopia’s religious map has changed considerably – for centuries the country consisted of an Ethiopian Orthodox Christian core, a Sunni Muslim zone in the east, and an animist/indigenous-faith area in the south and the lowland reaches of the far west. In the last 10 years, indigenous faiths have diminished, in most cases yielding to Protestant Christianity, which is said to be the fastest-growing religious group in Ethiopia. This is making the country home to “one of the fastest growing evangelical churches in the world,” wrote theologian Allan Anderson in 2014. Meanwhile Ethiopia’s Prime Minister Hailemariam Desalegn announced on 3 January that the government will release some imprisoned politicians. He also told reporters that the notorious Maekelawi detention centre in Addis Ababa is to be closed and turned into a museum. The announcement came as a surprise in a country where the government has been criticised by rights groups for its stifling of opposition and until recently denied the existence of political prisoners. The PM, however, announced that he wanted to make space for political dialogue and national reconciliation. Beyene Petros, chairman of Medrek, the biggest opposition coalition, told the Wall Street Journal that the news was “music to my ears”, but that he would have to “see it to believe it”. His own deputy has been detained for over a year.